We are less than sixty days away from the release of one of the biggest films of 2017 – Baahubali 2. This movie is the sequel to the historical drama Baahubali: The Beginning that released on July 10, 2015. It is undoubtedly one of the most anticipated films of 2017, especially because the first part left us with a question – Why did Katappa kill Baahubali? Now we will finally know the answer. Leading film critic Anupama Chopra got a chance to visit the magnificent sets of Baahubali 2. Apparently she had been chasing the film maker for a year now. The team opened up about this mega-budget project and their experience of working for a film like this – Right from Rajamouli to Prabhas to Sathyaraj aka Kattappa to the art director – Sabu Cyril, they shared some interesting anecdotes from the sets. When Rajamouli was asked, how did he manage to stay focused and not get distracted by the buzz round the movie, Rajamouli said,” Because the noise that is created within our production is so high that you can’t hear the external noise.” (Haha) we can totally imagine that. With a crew and cast so big and and an intense script, you would be oblivious to the noise around. 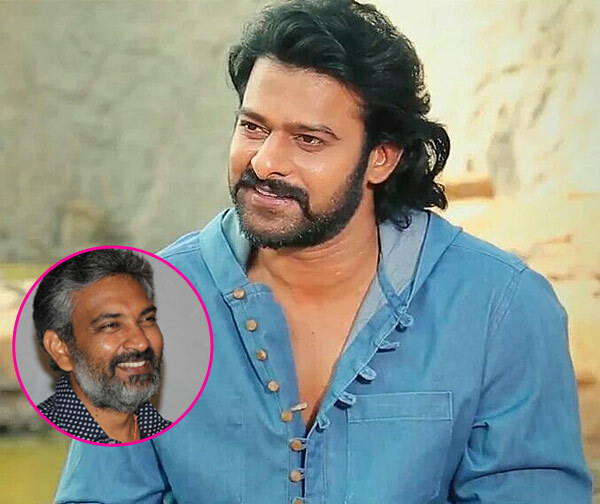 Rajamouli, while speaking with a leading Telugu channel confessed that the first part was just about introducing the characters and laying out the story. It’s the second part that will go into further details – we will finally be told of the famous Amarendra-Devasena love story. Also, there is an epic face-off between the brothers – Shivudu and Bhallaladeva to look forward to in part 2. The director has confirmed the trailer will be out in Mid-march. We can’t wait for the final date.